This performance was performed in Vancouver, Regina and London, ON. 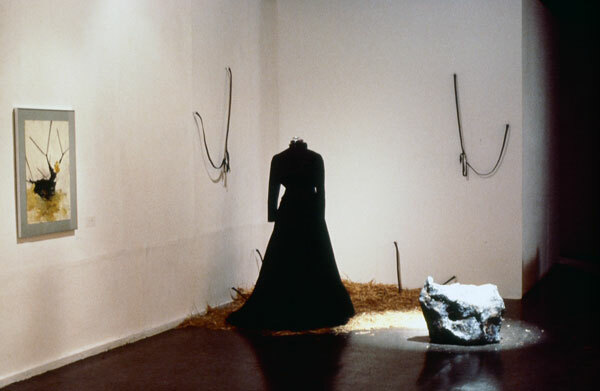 A performance with a female performer dressed in a 19th mourning costume and sleeping mask attached to bungee cords in a corner of a room filled with straw. Tango music is playing while ballroom dance instructions read by children are heard coming from an artificial rock. A camera with an attached strobe lights the space and records the activity. The performance is approximately 20 minutes in length.